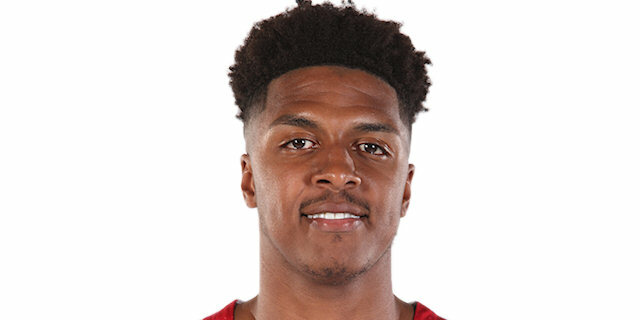 A stunning individual performance helped Olympiacos Piraeus beat visiting Buducnost VOLI Podgorica 92-70 on Friday and marched forward Zach Leday to the Round 10 MVP honor. LeDay piled up 28 points and 8 rebounds while shooting 7-for-8 inside the arc, 2-for-3 from three-point range and 8-for-9 from the free throw line. He also had 2 steals and 1 assist while drawing 8 fouls in just 21 minutes and 16 seconds on the court. 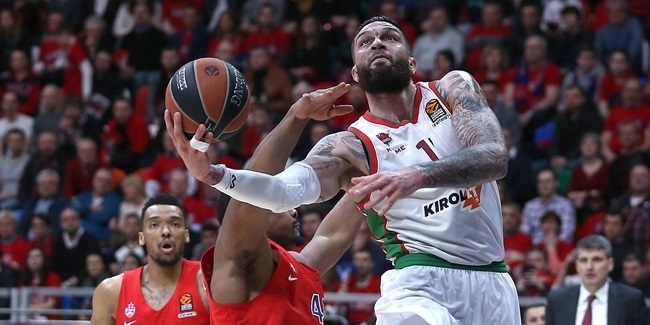 His performance index rating of 42 was a club record for Olympiacos this century and matched the EuroLeague's best in the last two years. Until LeDay did it, no EuroLeague player had ever posted a PIR of 42 or higher in fewer than 26 minutes. 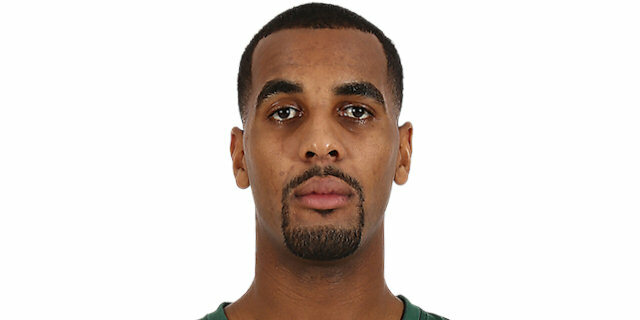 The second-best performance of Round 10 belonged to Brandon Davies, who led Zalgiris to its first home win, 83-78 over AX Armani Exchange Olimpia Milan. Davies had career highs of 27 points, 11 two-pointers made and 4 assists. He also pulled down 10 rebounds. Will Clyburn's 27 for CSKA Moscow was Round 10's third-highest index rating. Clyburn had 18 points, 6 rebounds, 2 steals and 1 assist in CSKA's 88-93 road win at Real Madrid. 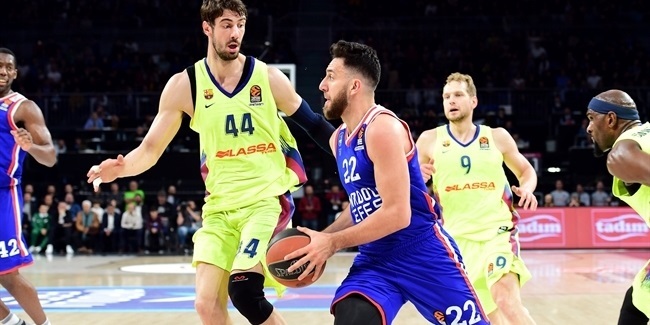 Wrapping up the list of Round 10's top performers are James Gist of Panathinaikos OPAP Athens and Adam Hanga of FC Barcelona Lassa, both with PIRs of 25. Gist collected 19 points and 9 rebounds in a road loss at Khimki Moscow Region, while Hanga had 16 points, 6 rebounds, 3 steals and 2 assists despite falling at home to Fenerbahce Istanbul. LeDay led all scorers in Round 10 with 28 points. Injured Khimki guard Alexey Shved remains the league's scoring leader with 25.3 points per game. Johnny O'Bryant of Maccabi FOX Tel Aviv and Davies each had 10 rebounds to lead all players this round. Nikola Milutinov of Olympiacos is the overall rebounding leader with 7.3 per game. 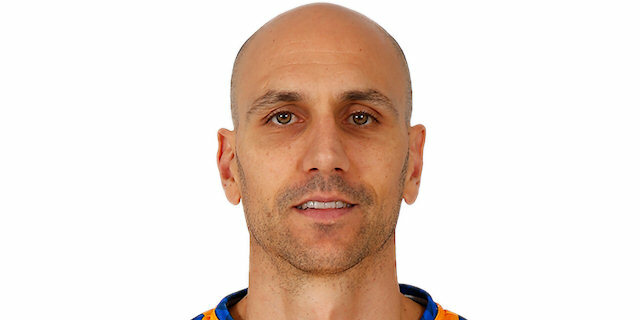 EuroLeague's oldest rookie, Albert Oliver of Herbalife Gran Canaria, led all Round 10 passers with 8 assists. Nick Calathes of Panathinaikos remains atop the assist chart with 7.8 per contest. Gran Canaria's Marcus Eriksson had 4 steals, a career-high and more than any other player this round. Calathes is the league leader in this category, too, with 1.8 on average. Danilo Nikolic of Buducnost VOLI Podgorica and Arturas Gudaitis of AX Armani Exchange Olimpia Milan had 3 blocks each to lead this round. Madrid's Walter Tavares remains the league leader with 2.4 blocks per game. 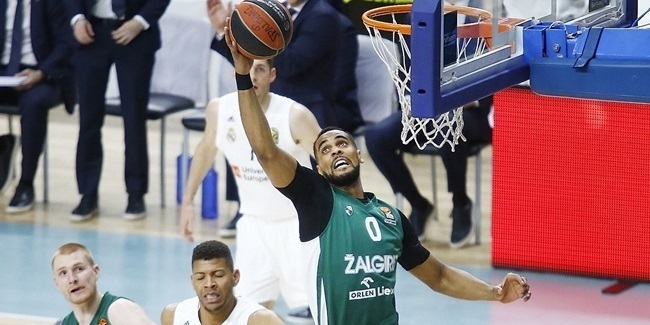 Brandon Davies was the lone player with a double-double in Round 10.